A Good Day to Die Hard (2013) - I have to say that I love all the Die Hard movies and that I own them all except this one on DVD. You just can't go wrong with Bruce Willis and then to add Jai Courtney who could potentially carry on the series since he plays John McClane Jr. If you want action, this movie has it. If you want an awkward reunion between father and son, this movie has it. Do you want betrayal and lies, well guess what, this movies has it. 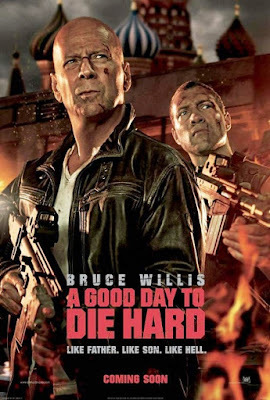 To get your Die Hard fix, click here for the trailer. I can't say enough about this movie and I will gladly give it a 5 out of 5 stars for pure awesomeness! 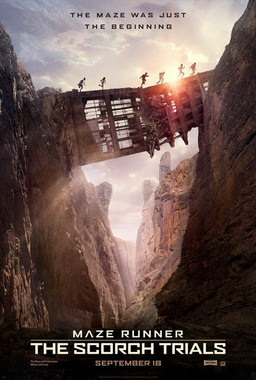 The Scorch Trials (2015) - So I thought the first Maze Runner movie was good. It left me hanging but in a good way and I wanted to see this movie as soon as it came out. This movie though, it really didn't live up to its name. The kids didn't spend much time in The Scorch even though they made a bg deal out of it in the beginning. That all being said, if you can look past the weirdness of the kids supposedly being immune to this virus and then they come down with it (I might have missed something in the movie about this, but it wasn't clear,) then this is a great YA thriller that you should see. You probably already watched the trailer, but here it is again. I'll give it a 4 out of 5 stars only because I'm confused about the immunity thing. The Loss of a Teardrop Diamond (2008) - I have been on a quest to watch every single Chris Evans movie he has ever been in and I'm starting to get into the lesser known movies on the list. I've never even heard of this movie until now, but it does have some big name actors in it like Bryce Dallas Howard. 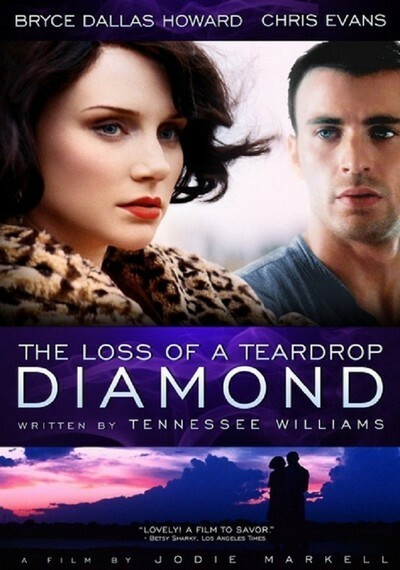 The movie is based 1957 screen play written by Tennessee Williams. The characters in the movie have these ridiculous gone with the wind kind of accents that make you shiver every time they open their mouths. I think the acting itself is great but the story is just too terrible for me to like. Its all about a girl named Fisher who hires Evans character to take her to parties. A long story short, she promises to help Evans crazy mother get out of a mental hospital if he marries her because she has alienated everyone else and no one will love her. I'm not going to spoil the end and tell you what Evans character does, but this is one messed up movie. If you want to watch the trailer and their bad accents, click here. If you are trying to finish your Chris Evans movie list then you have to see it, but I will give this movie a 3 out of 5 stars for the actors commitment to those ridiculous accents. 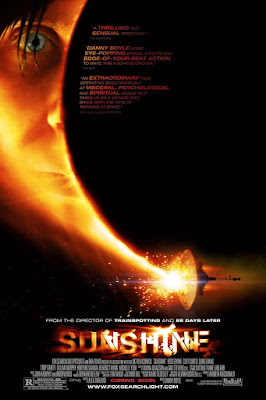 Sunshine (2007) - Ok, so this was another movie on my Chris Evans list but I really do like a good Armageddon thriller. Especially ones set in space. The whole premise of this movie is a crew of eight people are sent hurtling toward the sun where they will detonate a bomb inside of the star to try and reactivate it since it is dying. They aren't the first ship that was sent into space though. The first crew dispersed seven years earlier without a trace. When they pick up the distress call from the first ship, they deiced to investigate (First mistake) and all heal starts break loose. I will give this move 4 out of 5 stars for epic space travel and all around bad decision making.